Paul Kazlov is a “green” home remodeling enthusiast and an industry pioneer for innovation in home renovation. Paul writes for the Global Home Improvement blog and strives to educate people about “green” products such as metal roofing and solar. Follow him on Twitter @PaulKazlov. I found this article useful. Thanks for taking the time to post it. I agree. Metal roofs are worth of money and durable than anything. They are highly customizable and we can even create textures like wood and tile. Here at Toronto, companies like Royal York Roofing Ltd offers metal roofing installation services. Anyway, thanks for sharing this blog. Metal roofs no doubt give a beautiful look to a home and they are also available in different styles as well as colours. I totally agree that they are the most durable ones. One of the most effective uses of metals roofs as you have also mentioned is energy efficiency. As Metal roofs have higher heat reflectivity than other roofing products like asphalt, fiberglass shingles, wood etc and so in summers it helps in saving your money as you need not to use cooling devices for longer duration. As I work as a roofing installer and many homeowners ask questions related to metal roofing and so here is a post covered on the topic http://www.countrytowne.ca/top-8-questions-home-owners-interested-metal-roofing/ where many homeowners can find answer to similar queries. Yes, that’s right! Metal roofs are pretty much in vogue due to a couple of reasons such as durability, longevity, minimal maintenance, and eco-friendliness. Apart from this, a metal roof system is an energy efficient roofing type, which reflects solar heat and can cut back on cooling costs immensely. Today metal roofing material is preferred over all the conventional roofing materials due to numerous counts like expected life, weight, durability, fire resistance, etc. But before you choose one, just make sure to find a good metal roofing contractor is through friends and neighbors who have had similar work done. Metal roofs are a great option, the cost might be a little more up front but the durability and maintenance pays for itself. 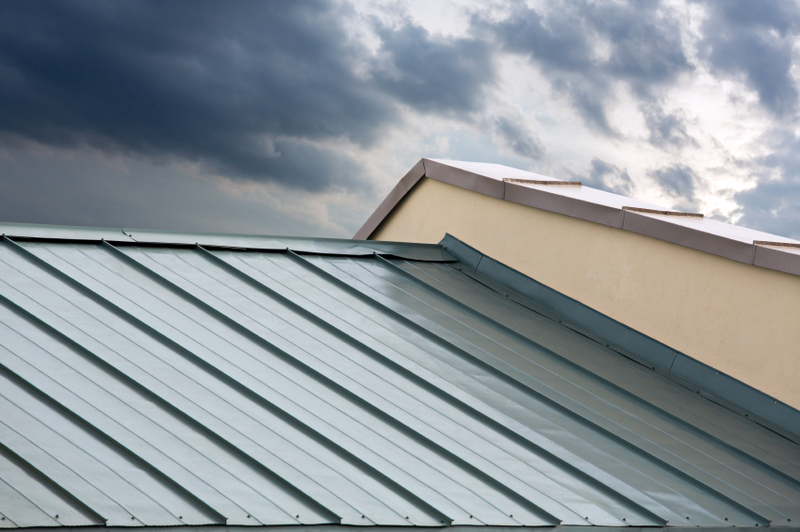 Excellent article…Metal roofs are not only durable but also affordable. This is just great! Love your blog on 8 reasons for homeowners. Thanks for sharing this one. We love using metal roofs for business parks. They are durable and last for years. Metal roofs are great but I feel like they are sometimes overlooked! Great article with a good core concept here.